Iran’s foreign minister and parliament speaker reportedly canceled meetings with the German vice chancellor after he said Tehran must recognize Israel to secure normal relations with Berlin, Iranian media said. It was later claimed media “distorted” the remark. 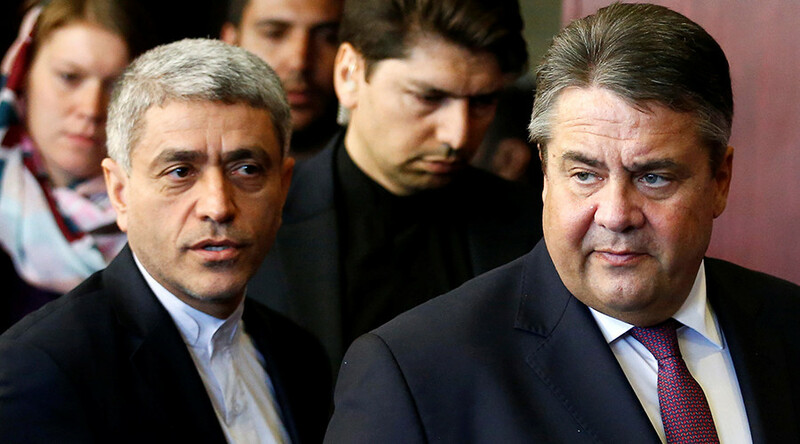 Sigmar Gabriel, who also serves as Germany’s economy minister, arrived in Tehran on Sunday as part of Berlin’s efforts to renew business ties with Iran following last year’s nuclear deal between Tehran and the six world powers. However, Foreign Minister Mohammad Javad Zarif and Parliament Speaker Ali Larijani snubbed the vice chancellor following comments made to Der Spiegel ahead of his visit, Fars news agency reported. 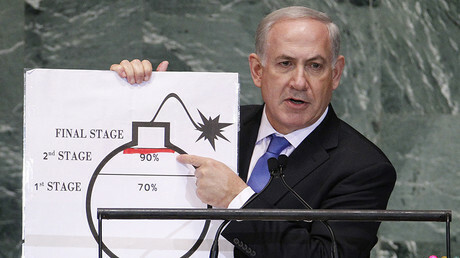 Those comments included stating that Iran must acknowledge Israel's right to exist before a full normalization of ties could take place between Tehran and Berlin. “A normal, friendly relations with Germany will only be possible if Iran accepts the existence of Israel,” Gabriel told the German magazine. Zarif and Larijani weren't the only Iranian politicians upset by Gabriel's remarks. Iran’s judiciary chief, Sadeq Amoli Larijani, said he would have banned the German vice chancellor from entering the country if he had the power to do so. “The German economy minister has made incorrect and illogical comments and said that if Iran wants to open way for trade interactions, it should recognize Israel. 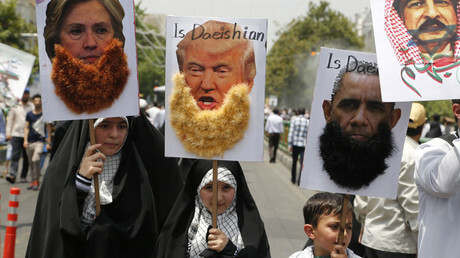 Apparently, he is asleep and doesn’t know that Iran has tolerated abundant pressures for the sake of its beliefs for over 30 years to resist against such demands,” the judiciary chief said. “Were I in the place of the government and the foreign minister, I would not allow this minister to visit Iran,” he added. However, Iranian government spokesperson Mohammad Baqer Nobakht said that Gabriel told him the Israel remarks were misconstrued by the media, and that Germany actually "respects" Tehran's position. “When Gabriel came to Iran, I asked him why he has said such a thing while he is one of the pioneering officials who came to Iran after the nuclear deal? He clearly said that they [the media] had distorted his comments. He said that he has come to Iran now without any precondition and that they respect Iran’s views,” Nobakht said. Gabriel did manage to meet with other Iranian politicians during his two-day visit to Tehran. The Tuesday snubbing of Gabriel wasn't the first time Iran had made clear that it refuses Germany's demand to recognize Israel. On Saturday, Iranian Foreign Ministry spokesman Bahram Qasemi said that “ties between the Islamic Republic of Iran and Germany are based on mutual respect and interests, and no precondition would be acceptable in this regard,” Press TV reported. Gabriel was one of the first Western leaders to lead a delegation to Tehran following the removal of nuclear-related sanctions in January. Germany is seeking to once again become one of Iran's major trading partners, despite being a long-time critic of the Tehran's anti-Israel stance and calls for Israel’s destruction, as well as government-backed Holocaust denial conferences.